I had a little time on my hands this afternoon and decided to explore the Hongdae/Shincheon area. I got off at Sangsu subway station and discovered this gorgeous slightly faded mural at the crossroad. 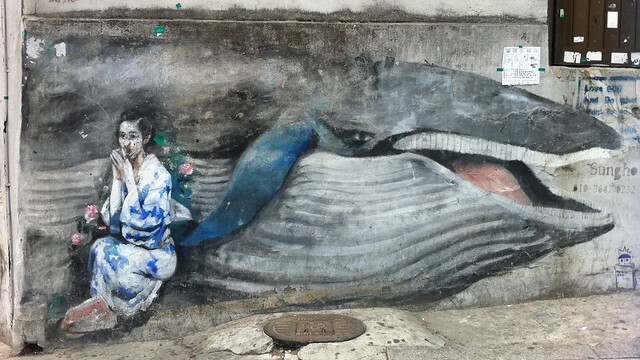 I'm not sure why it's there, I'm not sure what it means, but I have fallen in love with this girl and her whale. My new favourite piece of street art in Seoul.